Man on the Street: What was your favorite memory of the summer of 2016? 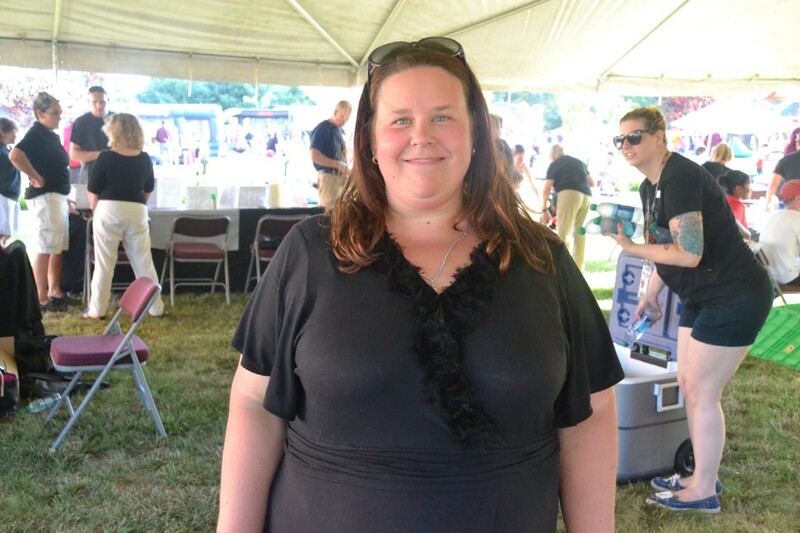 Residents share their stories of their summer adventures at the Cherry Hill Public Library’s Backyard Bash last Thursday. The Henderson family of Michael, Michael Jr., Stacey and Jake shared their memories from a fun family vacation to Wildwood. For the two kids, their favorite part of the trip was riding the log flume at Morey’s Piers. Last Thursday, the Cherry Hill Public Library hosted Backyard Bash, an annual family event held in the second half of August each summer. For the library, the event is one final celebration marking the end of summer and the end of its children’s summer programming. While the summer season doesn’t officially end for about one more month, the Labor Day weekend and the start of school is just a couple weeks away. 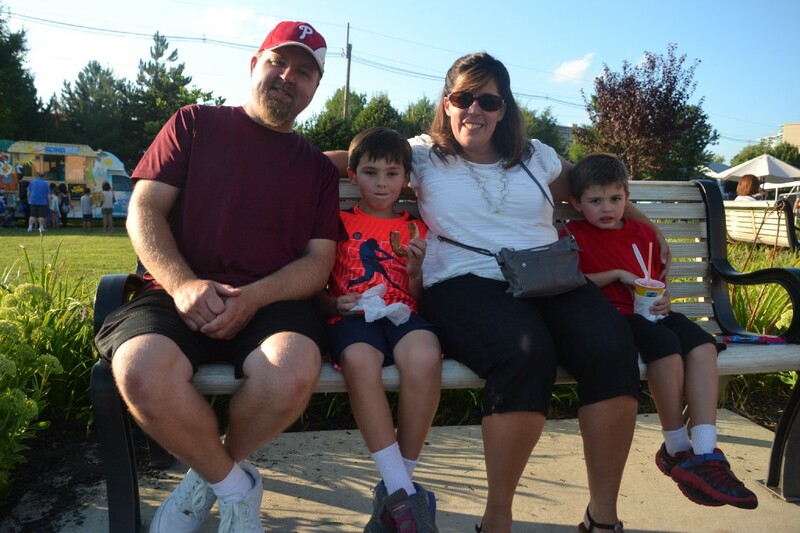 With summer coming to a close for many, some Cherry Hill residents took some time at Backyard Bash to reflect on their favorite memories from the summer of 2016. Most people’s memories coincided with a trip down the Jersey Shore. However, the exact destination and activities differed. Rachel Barger and her family went on a trip to Sea Isle City. One day during their visit, they got to see dolphins swimming in the ocean. The Henderson family of Michael, Stacey and their sons Michael Jr. and Jake went on a trip to Wildwood earlier this summer. For the two kids, their favorite memory was taking a ride on the log flume at Morey’s Piers. Meanwhile, Stacey favorite memory was of a day of relaxation. “I like when we spent the whole day on the beach,” Stacey said with a smile. Damen Thiel said his family also took a trip down the shore to Ocean City. It wasn’t just his immediate family who took the trip, but also much of extended family as well. The family rented four houses in Ocean City for the week. Joe Keller’s (left) favorite memory from the summer of 2016 was going boating, canoeing and swimming during a trip to a lake house near Lake George, N.Y. Luke Keller‘s (right) favorite part of the trip was tubing out on the water. The Keller family took a vacation this summer, but not to the Jersey Shore. Their vacation was spent at a lake house near Lake George, N.Y., where the family got to embark on a number of adventures. “We went on this boat and I got to go tubing,” Luke Keller, 9, said. Luke’s older brother, 16-year-old Joe, said his favorite parts of the trip included boating, canoeing and swimming. Not all of this summer’s memories were made while on vacation. A few people said they had a good time doing activities close to home. Thiel mentioned his favorite memory outside of his family’s Ocean City trip was attending a Philadelphia Union game. For Michael Henderson his favorite part of the summer was spending time with his family barbecuing in their backyard. Jennie Purcell said her family spent much of their summer at the Woodcrest Swim Club, where they purchased a membership for the first time. Jennie Purcell and her family used to frequently travel down the shore during the summer. This year, however, they decided to purchase a membership to Woodcrest Swim Club. Purcell said it was an excellent decision. Purcell’s family loved the swim club so much; they still haven’t gone down the shore yet this summer. Everyone who shared their favorite memories on last week had different stories to tell, but they all agreed on one thing. The summer of 2016 was one to remember.